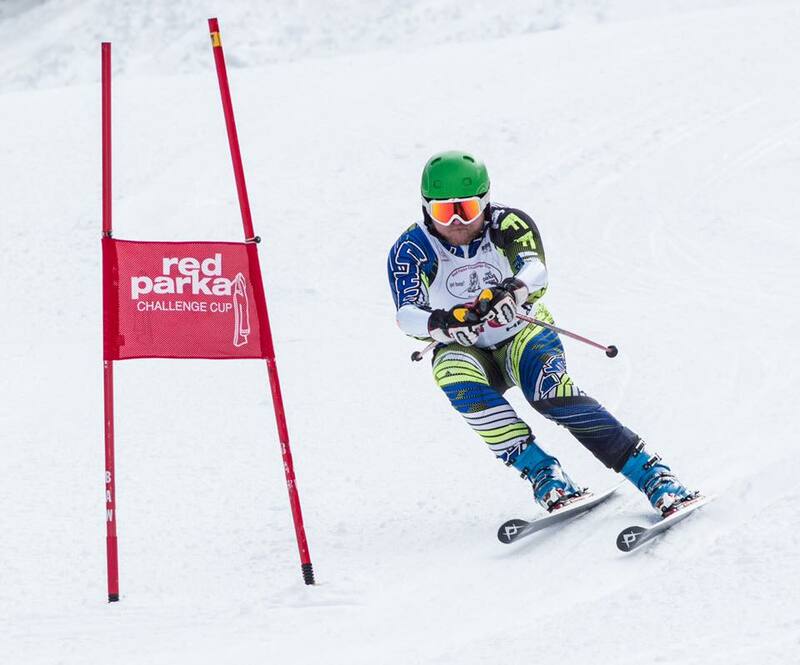 BARTLETT, NH – The Red Parka Challenge Cup certainly Bumped things up last Friday. This years race included a $15,000 goal, $5,00 more than the previous years. Also new this year racers could create pledge reg accounts in order to raise money and forgo the race fee if they surpassed $300 in pledges. Repeating his win from last year was Brad Harden beating Alec Tarberry by 1.09 seconds. Coming in third was the 2018 Meister Cup Champion Ben Drummond. For the women Heather Drummond took first beating out Emily Hayes by just .33 seconds, and Kali Brennick took third. In the Men’s B Division, Joey Miller beat Lucas Tinkham, who did not finish the race. The winner in the Locals Division was Bond MacGillivray and taking the Veterans Division was Brian Irwin. When it comes to fund raising the Nordos were the champions raising $3,470. The top individual fundraiser was Harry Mann, who raised $2,440. Terry O’Brien Co-Owner of the Red Parka Pub said that she believes they beat their $15,000, all of which will be going to the Easter Slope Ski Club’s Junior Ski Program. For more details and times about Friday’s race check out the Red Parka Pub Challenge Cup’s Facebook page.